Is Servicemembers Group Life Insurance (SGLI) Enough Coverage For You? Members of the United States military have a great benefit in the Servicemembers’ Group Life Insurance which everyone simply calls SGLI. SGLI is relatively cheap, term group life insurance that is offered to members of the military on active duty, in the ready reservists, members of the National Guard, members of the Commissioned Corps of the National Oceanic and Atmospheric Administration and the Public Health Service, cadets and midshipmen of the four service academies, and members of the Reserve Officer Training Corps. The insurance is also offered to spouses as well. Servicemembers’ Group Life Insurance coverage is available in $50,000 increments up to the maximum of $400,000 for members of the military. SGLI premiums are currently $0.065 per $1,000 of insurance, regardless of the member’s age which would make full coverage cost only $26 per month. This is a great price for insurance premium with respect to the amount of coverage that you receive. While everyone’s situation is different, let me give you one quick comparison. I have purchased a $500,000 thirty year term for almost $75. So, $400,000 for only $26 is an excellent value and benefit to members of the military. There is also an insurance plan for family members as well. Family Servicemembers’ Group Life Insurance (FSGLI) is an insurance program for the spouses and dependent children of members of the military that are insured under SGLI. Family SGLI provides up to a maximum of $100,000 of insurance coverage for spouses and $10,000 for dependent children. Do You Need More? Do you need more insurance coverage? Is $400,000 insurance is a great value, but is it enough insurance coverage should the unfortunate happen? Well, it depends. For a single private with no dependents earning $21,000 per year, then $400,000 worth of insurance is probably more than enough to take care of any expenses and beneficiaries that his estate will have after his passing. But, $400,000 may not be enough for a senior captain, major, colonel, sergeant major, etc. who has a lot of people counting on him or her income. Insurance is a hedge against the loss of your income for people (like your spouse or kids) who depend on that income. So, for example, if you have a mortgage payment or college tuition to pay down the line, you might need more insurance coverage. One rule of thumb that a lot of people use is that you should be insured for ten times your annual income. So, someone earning $40,000 per year before taxes are taken out may be alright with only $400,000 worth of insurance coverage. Leave To Heirs? Do you want to leave a huge nest egg to your heirs? Then, you may not want to consider term life insurance such as SGLI that will eventually go away after you leave government service. While a whole life policy is much more expensive than a term policy, you will carry the policy for your entire life. Term is only good for the length of time you sign up for such as twenty or thirty years. So, with term insurance, you would not have an insurance benefit to leave your heirs after the thirty year mark in this example. 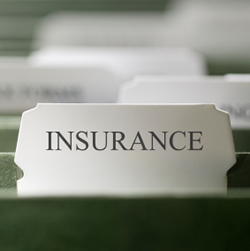 These are all things to consider when evaluating your own insurance needs. They are tricky subjects, and you may need a more in-depth analysis than the internet and this blog can give you. You should consider seeking professional investment advice from a fee based financial planner if you have additional questions.